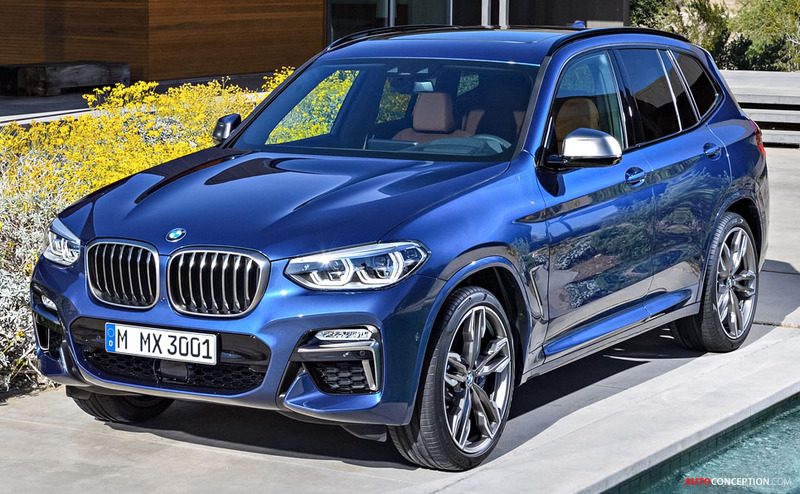 The new third-generation BMW X3 has been officially revealed. 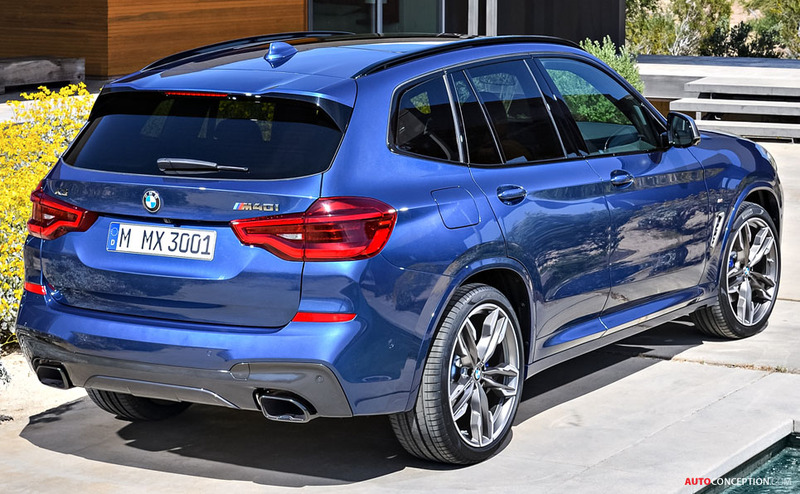 As well as new looks and a 55 kg weight drop, the latest model also brings in a new 2.0-litre petrol engine alongside the familiar diesel offering, plus a new performance flagship, the M40i – the first ever M Performance vehicle in the X3 line-up. 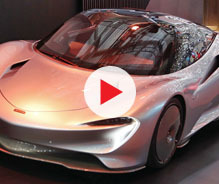 The latter is powered by a new 3.0-litre six-cylinder engine, which generates 355 bhp, an increase of 53 bhp (18 per cent) over the most powerful petrol variant in the current range. Peak torque of 369 lb-ft is 74 lb-ft – or 25 per cent – greater. 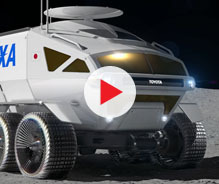 It can sprint from zero to 62 mph in a claimed 4.8 seconds before hitting a top speed of 155 mph. 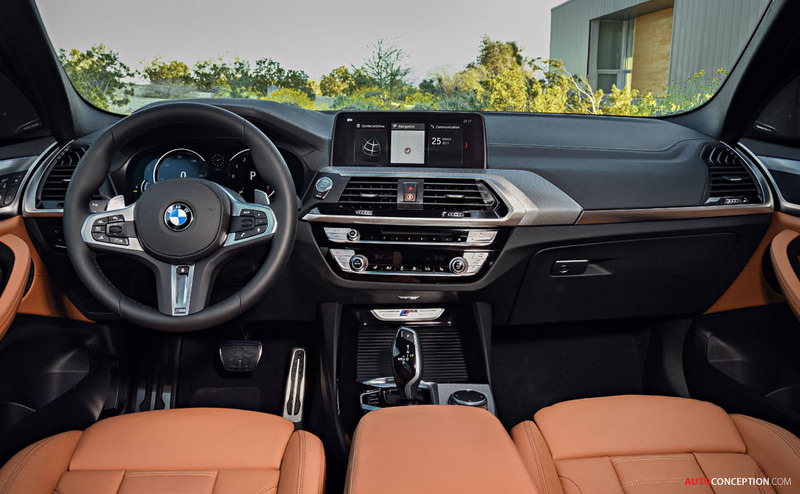 BMW has confirmed that all of the models available at launch will be equipped with all-wheel drive as standard, although the system now features a lighter rear differential and a modified transfer case, which made its debut in the current 7 Series. 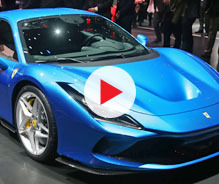 Externally, the refreshed model’s dimensions are largely unchanged, although a five-centimetre-longer wheelbase is claimed to have contributed to the car achieving a 50:50 weight distribution. The three trim variants each have an individual appearance. The SE model features LED headlights and taillights as standard, along with aluminium satinated roof rails and a new 18-inch wheel design. The xLine model gets a satin/aluminium radiator grille, more rugged front and rear bumpers with silver metallic side sills along with 19-inch xLine specific wheels. The sports-oriented M Sport comes with M aerodynamic features, optional blue-painted brake callipers, a larger 19-inch wheel design and the optional exterior paint shade of “Phytonic Blue”. 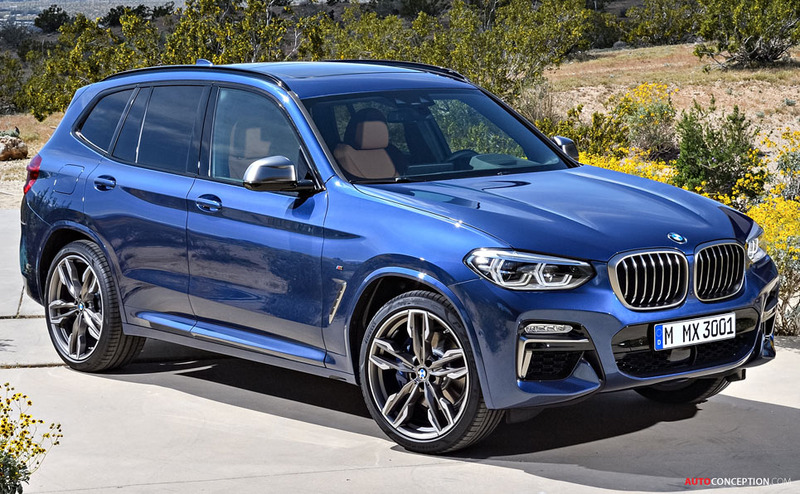 The new M40i features a custom M Performance exterior design with “Cerium Grey” kidney frames, front and rear bumper inserts, mirror caps, window graphics and air breather. 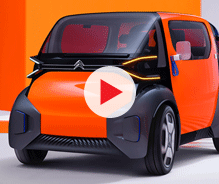 The rear tailpipes have an elongated rectangular shape in black chrome. 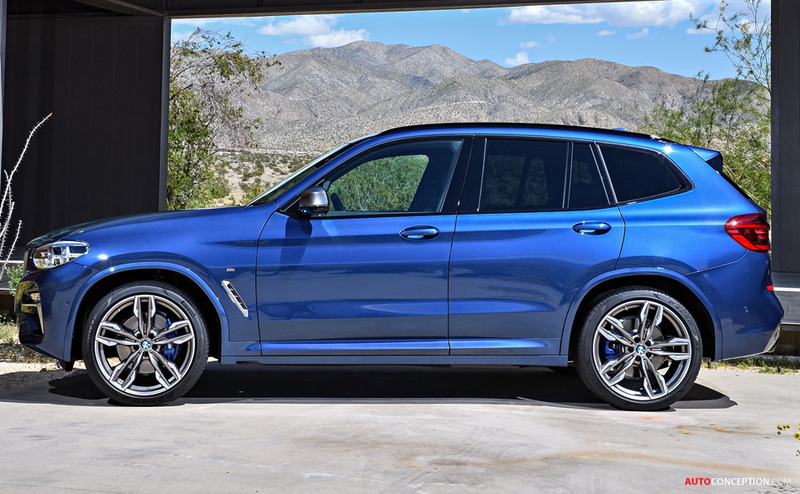 A new optional 21-inch wheel is limited to the M40i only. On the inside, design details include the BMW X logo, which reoccurs frequently in different forms. For example, there is an embossed X in the electroplated accents in the front and rear doors and another on the B-pillars. As with the exterior, the three different trim levels each take a specific approach to the look and feel of the interior. The new X3 is set to launch in November 2017.